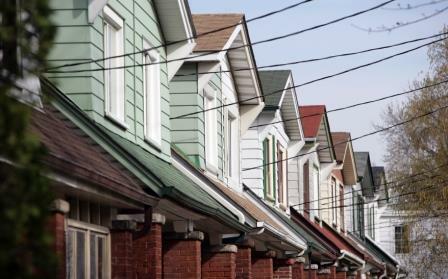 The gradual upward trend in mortgage rates will be the main factor in the projected cooldown in two of Canada’s leading housing markets this year, according to a prominent economist. Diana Petramala of TD Bank said that the record-high levels achieved in 2015 would dampen the negative effects of the downturn in Toronto and Vancouver this year. However, Petramala emphasized that this should be no cause for complacency as various indicators of market problems have recently emerged. Price growth is expected to drop to 4 per cent in Toronto, while the value of Vancouver homes will spike by 7 per cent. “The lofty activity last year has likely left these two markets more vulnerable to even a gradual increase in interest rates and regulatory rule changes,” Petramala said in a report, as quoted by The Huffington Post Canada. Real estate prices in Vancouver have gone up nearly 20 per cent in just a year, while Toronto has seen a 14 per cent increase. The TD report pointed out that some Canadian banks have already implemented 0.3 per cent hikes to their mortgage rates since December, pointing to financial institutions bracing for a year with tighter conditions. On the other hand, Petramala assured that a crash is unlikely, as the fundamentals of the country’s housing markets remain strong. Migration to metropolitan areas has picked up, and the generous exchange rates continue to make Canadian real estate especially attractive to foreign investors. Hate to say, but maybe ISL should go after the greedy and the corrupt ! Nobody seems to be doing a damn thing about this ridiculous STUPIDITY !!!!!!! Canada should NUKED !!!!! !